University of Scouting 2011. Time: Teaching Scouts how to Make Better Use of it. 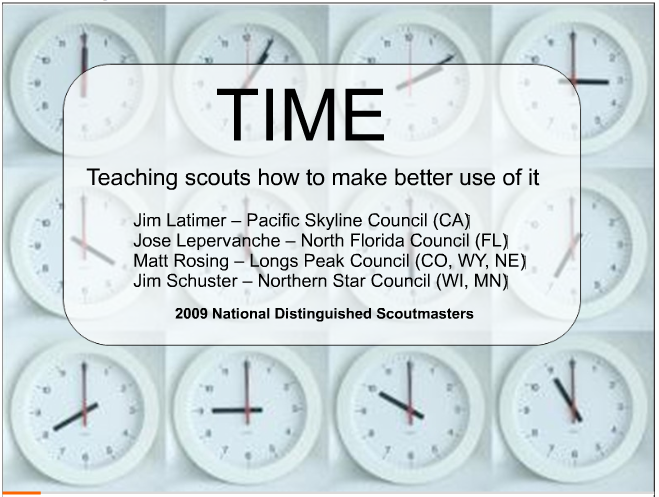 Time: Teaching Scouts how to Make Better Use of it.